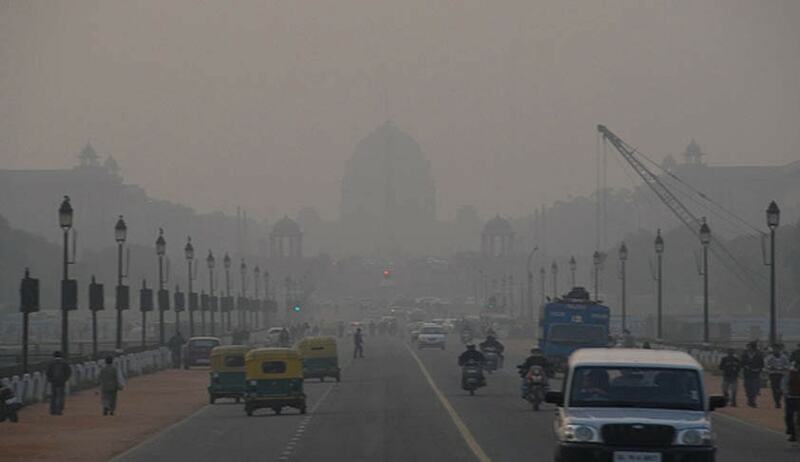 The Supreme Court and the Environment Pollution Control Authority appointed by it have given a green signal to a pollution code for Delhi (for the first time) on the lines of what has been implemented in Beijing for a graded response to health emergencies caused by noxious air that frequently engulfs the area in the winter. As per the plan the severity of pollutants present in the air will be sorted into four categories— moderate to poor, very poor, severe and very severe or emergency while issuing appropriate advisory to the public. Chief Justice T S Thakur also asked the CPCB to upgrade its infrastructure and set up additional pollution monitoring and control stations in the region within six months. At present there are only six stations. The decision with this regard was taken at a meeting chaired by the CPCB on the direction of the court in which all the stake holders had participated. A bench headed by chief justice T S Thakur accepted the recommendations made by the Delhi and union governments and directed the Centre to notify the levels of four categories of pollution. Beijing has a similar pollution notification model where regular colour-coded alerts are issued based on the levels of toxic particles in the air. A response action plan submitted by the CPCB to SC said the information about air quality will be sent to concerned chief secretaries of NCR who are heading the state-level committees so that the graded response is implemented and enforced. This information about air pollution levels and the response required will also be communicated by the CPCB-headed task force directly and through the state governments to the public so that they are informed about protective steps recommended for them as well as the measures governments need to take. During air quality emergencies, the CPCB-headed task force will suggest additional special measures that may be required to quickly bring down the air pollution levels to acceptable levels. SATISFACTORY- Causes minor breathing discomfort for sensitive people. MODERATELY POLLUTED- May cause breathing difficulties to people with lung diseases such as asthma and discomfort to people with heart disease, children and older adults. POOR- May cause breathing discomfort to people on prolonged exposure and discomfort to people with heart disease. VERY POOR- Will trigger respiratory illnesses in people on prolonged exposure. The effect may be more pronounced in people with lung and heart diseases. The court’s sanction came after Sunita Narain and Anumita Roychowdhury, top officials of the Centre for Science and Environment, which is part of the EPCA told the bench that the “Centre's graded response action plan to tackle different levels of pollution was acceptable and can be put into operation”. The urgent steps came after the CJI-led bench had slammed the CPCB and authorities in state government on November 10 for not doing enough to save citizens of Delhi from pollution like setting up pollution monitoring centres and asked “Are you waiting for people to die?”. “We do not want a situation when authorities remain totally clueless while the air is getting increasingly poisoned”, a bench headed by Chief Justice T S Thakur had said asking all authorities to come out with emergency measures, time frame and identify the agency to implement the steps.